A Canadian cable channel has been airing a documentary series called Make Or Break TV that examines short-lived TV shows. 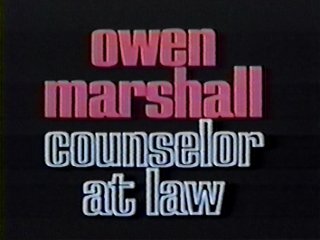 Promotional spot for ABC’s Owen Marshall: Counselor at Law, from the 1972-1973 season. 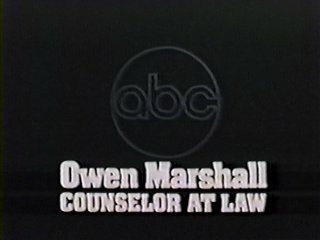 Promotional spot for ABC’s Owen Marshall: Counselor at Law. A black-and-white kinescope of “The Petrified Forest,” a 1955 episode of NBC’s Producers’ Showcase, was recovered in October 1986. I’ve made some minor fixes to the website that will hopefully make it a little easier to navigate. A look at the most popular articles, exhibits and videos here at Television Obscurities during November 2008.